A new walk-in medical facility providing treatment for urgent and non-urgent illnesses and injuries for patients of all ages has opened in Mechanicville. 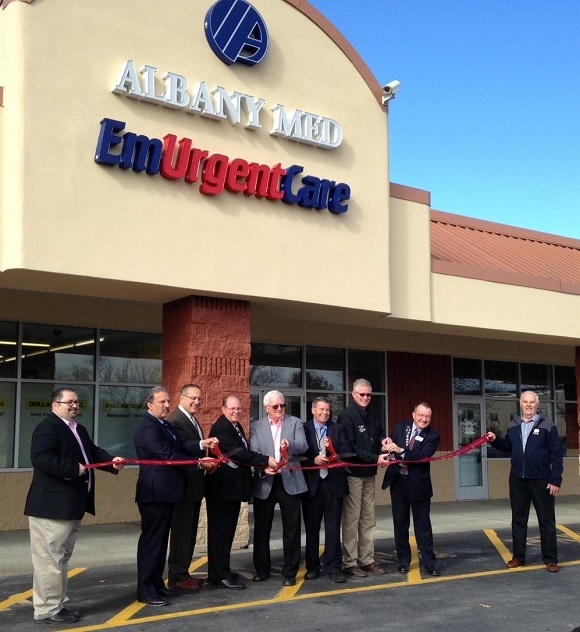 Albany Med EmUrgentCare opened it’s doors on November 1st. To kick off the grand opening, a ribbon cutting was held on Oct 31, 2016. The facility is open every day of the year from 9 am to 9 pm.